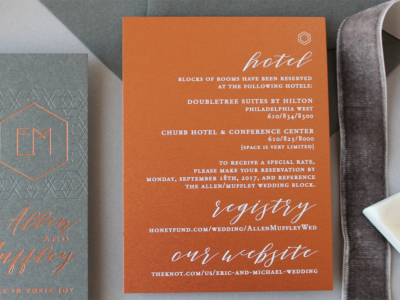 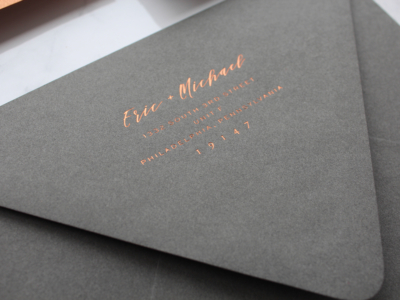 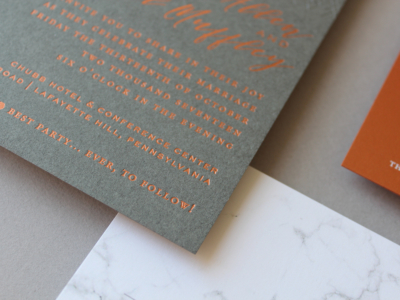 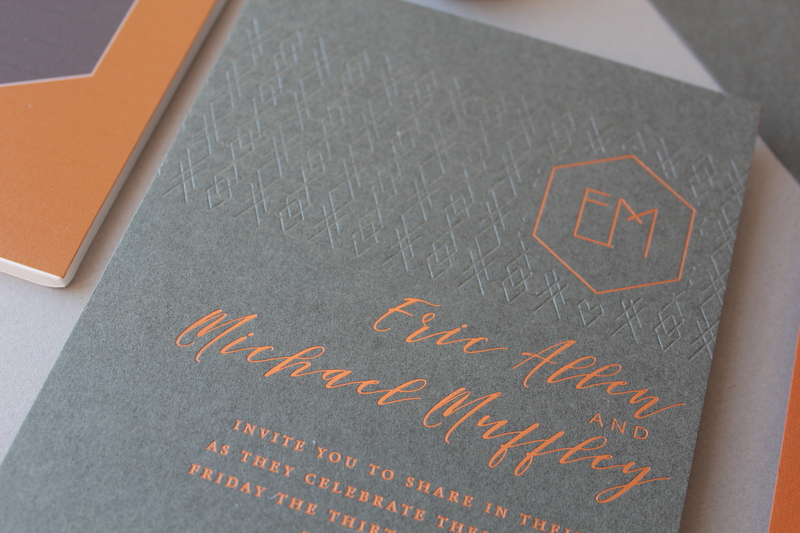 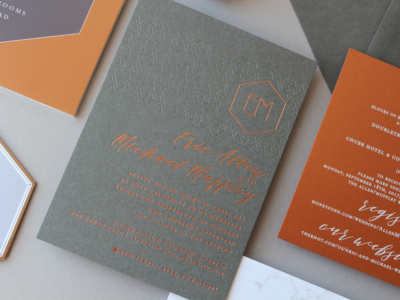 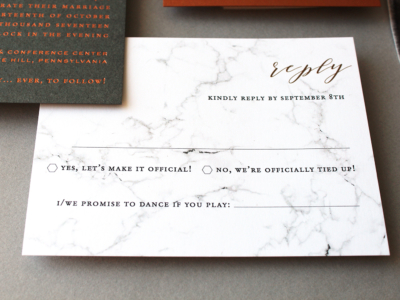 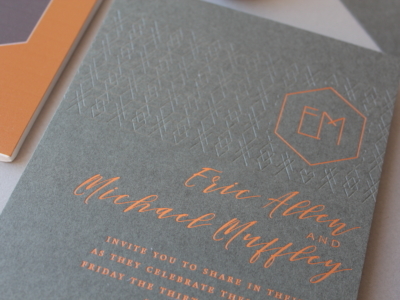 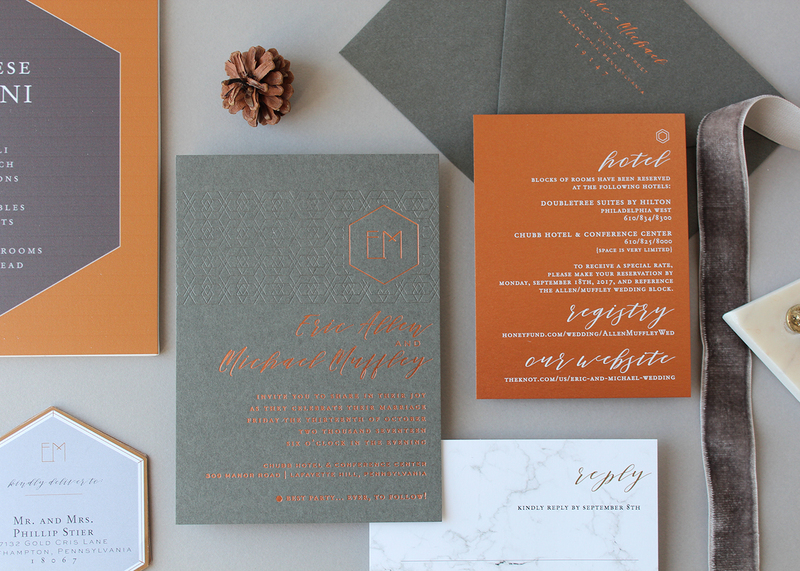 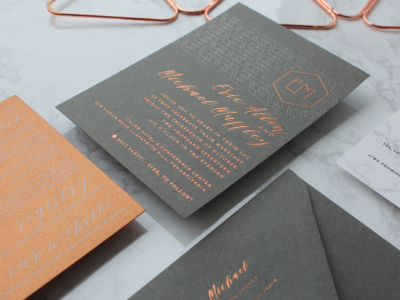 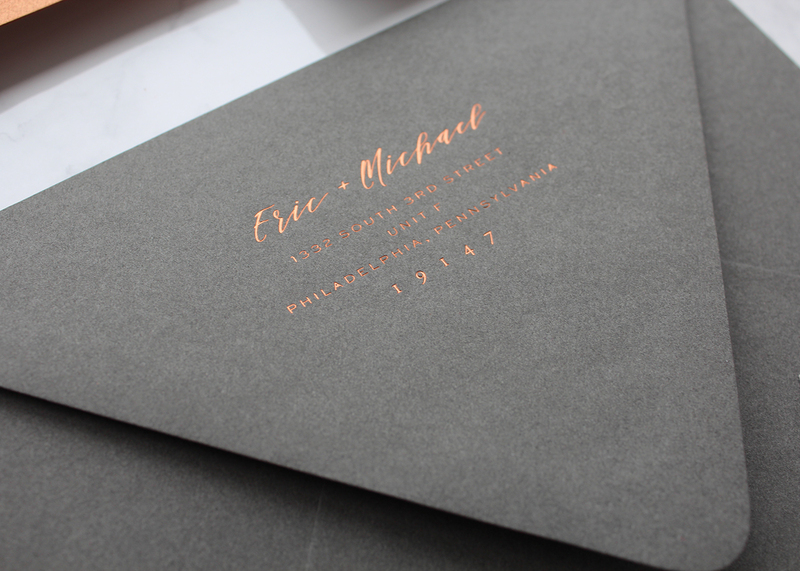 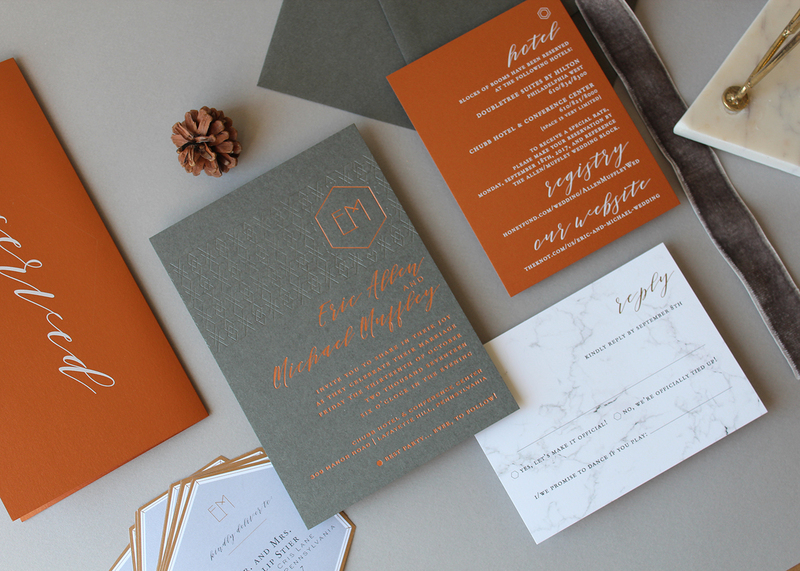 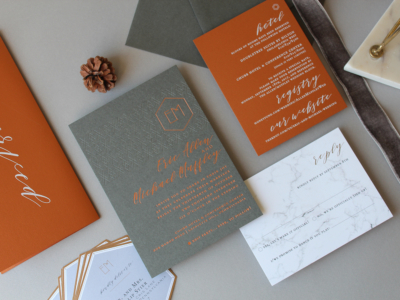 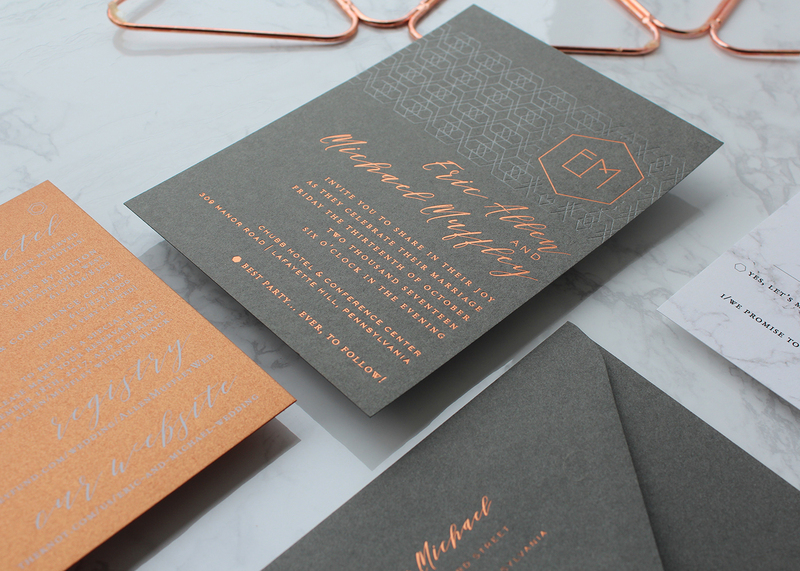 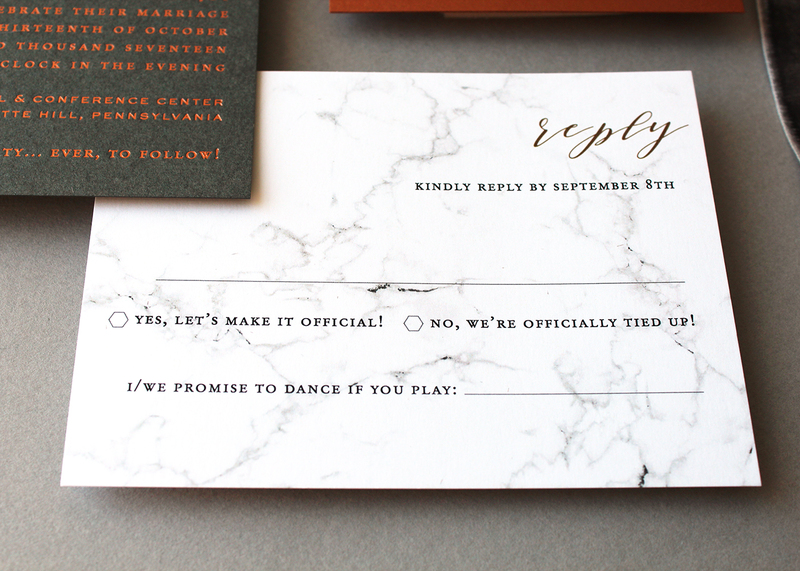 In this bespoke invitation suite, rich gray papers partner perfectly with the copper and marble textures. 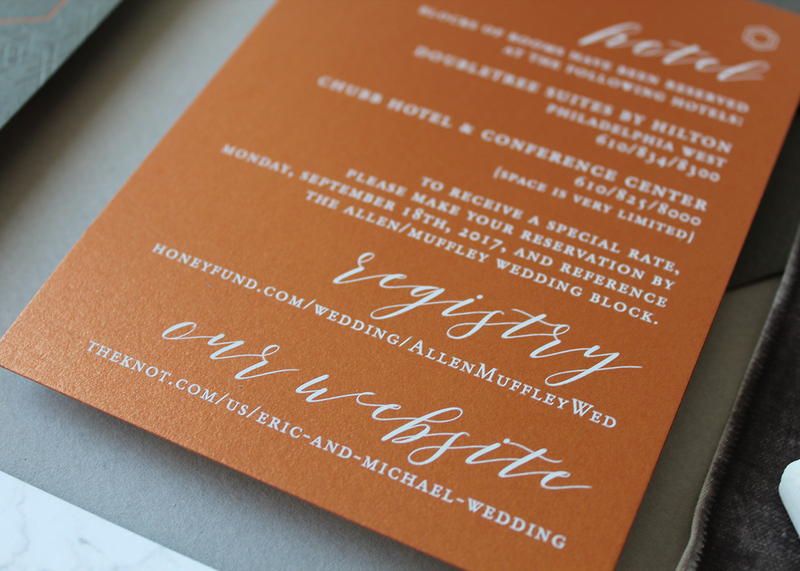 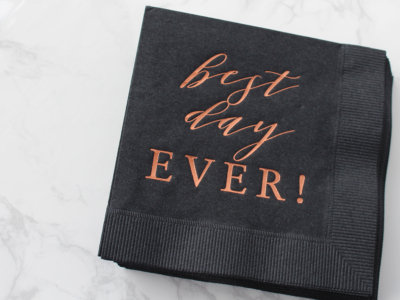 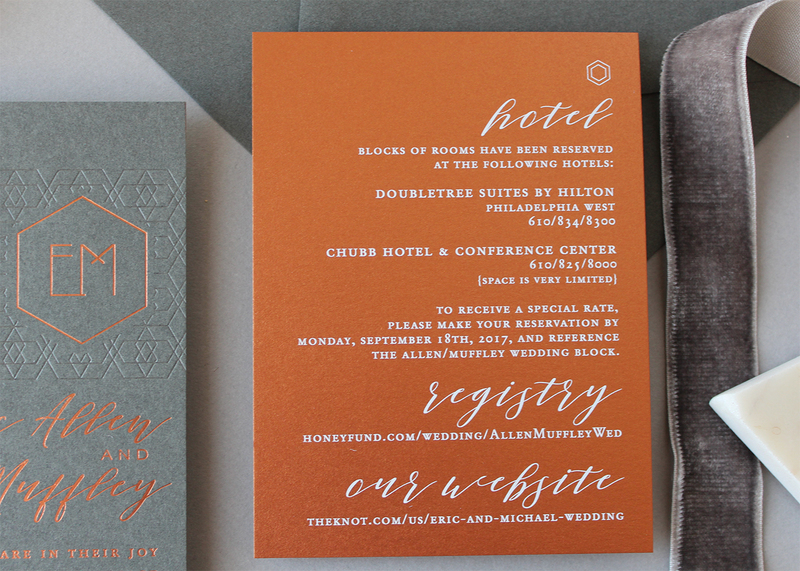 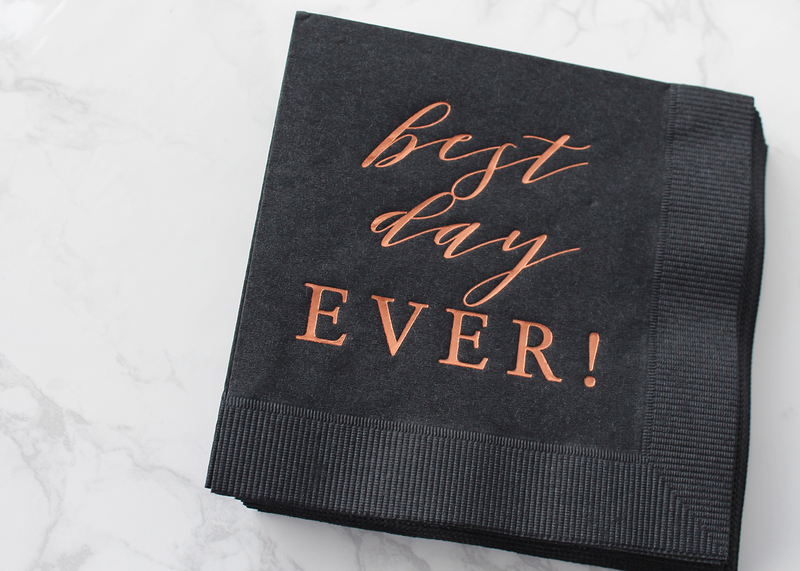 With copper and white foil stamping, and clear thermography, this suite has special printing techniques in spades, but yet, isn’t overdone. 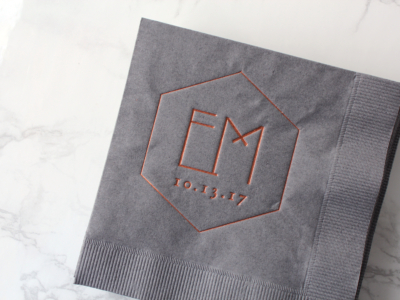 The couples’ monogram gives off mid-century modern industrial vibes, and paired the handwritten font, the overall style is chic yet playful. Some of our favorite touches include the geometric envelope icing, and the fun and personalized cocktail napkins.